With over 30 plus years of business and public policy advocacy in the public, private and non-profit environments Casey assumed the role of Chamber’s CEO in April 2017. Beyer was most recently the Executive Director of the Santa Cruz County Business Council and a senior adviser to the President and CEO of the Silicon Valley Leadership Group. As leader of the Santa Cruz County Business Council, Beyer led the successful fundraising effort that propelled Measure D’s success as well as being a frequent presenter supporting the ballot measure in forums and to many civic and community organizations throughout the county. Known for his consensus driven approach to public policy and business development, Casey’s work with the Silicon Valley Leadership Group (SVLG) to develop and support the legislative and regulatory policies that promote the economic vitality that drives the innovation economy. 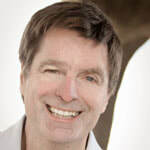 In 2009, Beyer was appointed by the Governor of California as a member of the Tahoe Regional Planning Agency (TRPA) Board of Governors, which he chaired in 2015-2016. The TRPA, a bi-state agency charged with environmental protection and economic vitality of the Lake Tahoe Basin. The Tahoe Regional Planning Agency leads the cooperative effort to preserve, restore, and enhance the unique natural and human environment of the Lake Tahoe Region, while improving local communities, and people’s interactions with our irreplaceable environment. Beyer is an avid bicyclist and has been a leader of bicycle advocacy groups including the South Bay Bicycle Coalition Board of Directors in the Beach cities of Los Angeles County. He has rich experience in the housing industry managing public policy and regulatory affairs for a large private homebuilder in the L.A. region. He has political experience includes service as U.S. Congressman Tom Campbell’s Chief of Staff and Chief of Staff for a California state senator, Chief Assistant to the California Secretary of State and other public and private sector roles over his career. His academic work is in urban and regional planning from San Jose State University and a bachelors degree from UC Santa Barbara in Urban History and Environmental Studies. Jodie T. Kench is the Membership Relations Director for the Santa Cruz Area Chamber of Commerce, responsible for planning and executing marketing, sales, recruitment and retention activities for Chamber membership and Chamber products and programs. By establishing credibility, trust and respect while developing new partnerships, she serves as the liaison between the Chamber and its members.